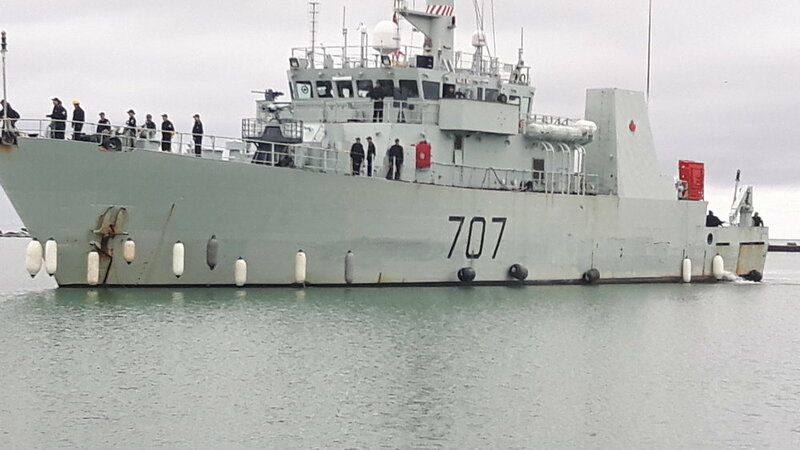 In commemoration of D-day (June 6), the HMCS Goosebay docked at Cobourg pier. Cobourg residents were welcomed aboard to tour the minesweeper ordinarily stationed in Halifax. Northumberland 89.7FM was given a guided tour by Petty Officer Joshua Davis. The ship's crew of 45 assisted while some attended local schools to talk about Canada's naval contribution during World War II.